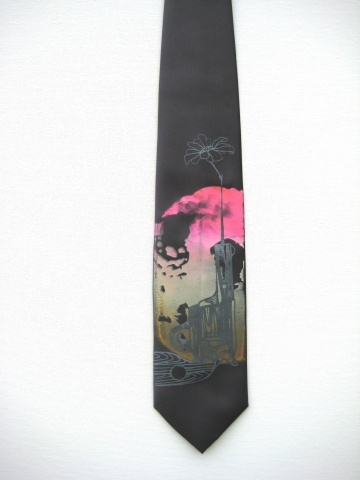 Sheen Black tie- with a hand drawn too shea design. metallic bullets for flowers paired with a tastefully hued orb. Check out one of my menswear shirts for a similar combo.